We want to help you improve your diving - our experienced Instructors are ready to cater to all levels of training. No matter if you just finished a beginner's course or training for a competition, we take pride in being able to provide logistics and a safe diving set up for everyone. Unlimited depth with very little to no current is availble within a less than 5min boat ride from shore. Water temperature around Bohol is at a constant 27-29 degrees throughout the year, there are no thermoclines at depth. 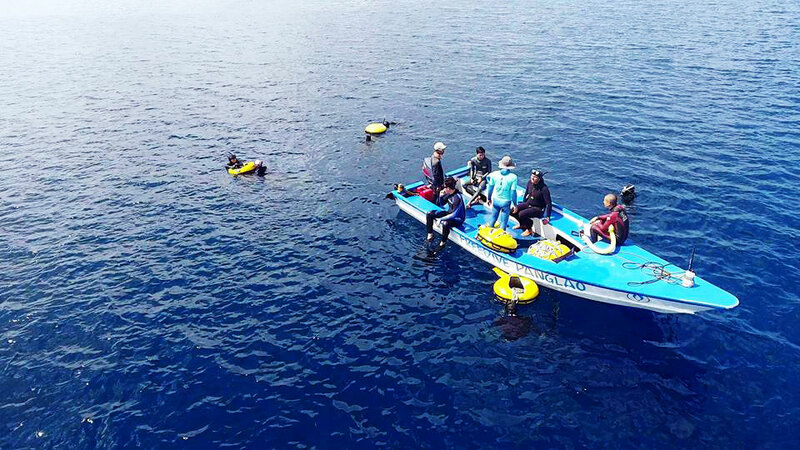 During Training our experienced team will provide you with the set up of buoys and ropes at a suitable depth. Further we will give you guidance such as feedback on technique as well as providing your safety, and we will evaluate your abilities and adjust the training to suit your individual level. Panglao's prime water conditions paired with our professional guidance make Freedive Panglao one of Asia's top spots for training! Freedivers that are interested in competing might also look into the competitions we're organizing every year. 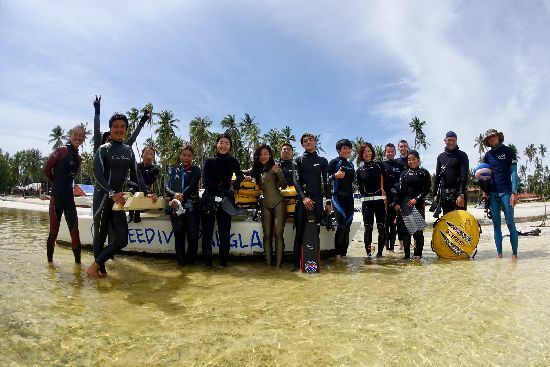 Asian Freediving Cup (formerly known as Freedive Panglao Depth Challenge) is our main competition, but we're also organizing several smaller competitions as well. Freediving training sessions are for freedivers, not for complete beginners. If you have never freedived before you should attend a beginner course prior to join any training session. The prices include any rental equipment you need. Take the opportunity to improve your diving over the period of your holiday while benefiting from our Training package discounts! When we go diving, freedivers of all levels go out together. 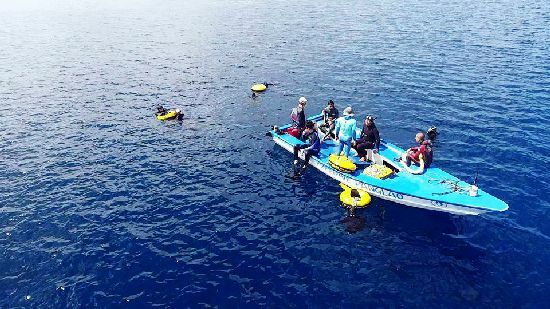 This can be an unique opportunity to meet some of the worlds best freedivers.